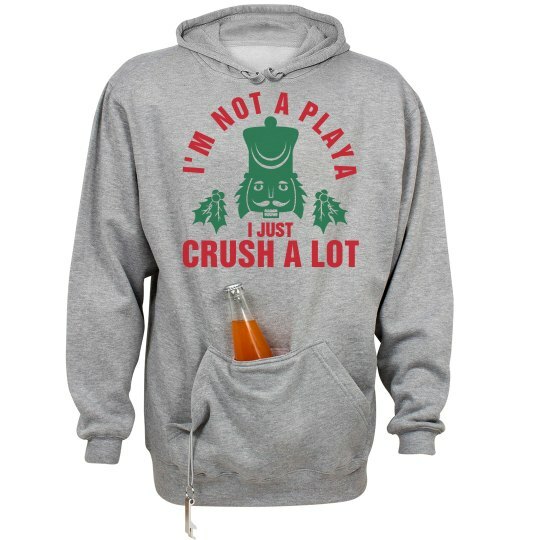 Let everyone know at your holiday parties that you're not a playa you just crush a lot. Wear this ugly Christmas sweater and crush beers with your nutcracker friends. Also makes a great gift for anyone who loves funny Christmas puns.